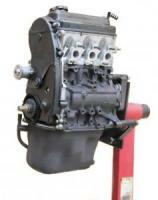 Fits U18T/U19T/U41T/U42T Refurbished Factory remanufactured 6 Valve Type Long Block Engine. Also fits many Toro mower applications. For more information click more info. Rebuilt at the factory with all Genuine Internal Mitsubishi Parts. Also includes new Water Pump, Timing Belt Components, Required Installation gaskets, Spark Plugs, Oil FIlter. Includes Free Shipping to USA (Not territories), Canada (not remote), United Kingdom Proper (Not territories). EU member countries, Australia may qualify for free shipping email with your shipping address before purchase. New Zealand Send shipping address before ordering with shipping address.